Our 2019 Work Study Program is now full, please contact us to be put on the wait list. Thank you for your interest in the 2019 International Herb Symposium Work Study Program. If you are hardworking and responsible and enjoy working ‘behind the scenes’ to create a magical event, work study is a great opportunity to be of help and service as we work together to create a fantastic symposium. There are sure to be additional tasks that require flexibility and immediate attention. Most of our tasks are completed before and after the conference and still leave time for participating in classes and special events during the conference. We need our work study to be available at specific times throughout the day which can potentially interfere with times you may need to be with your children (if you have them with you at the conference). Because of this, we have found that it doesn’t work for people who are bringing their children to join the Work Study team. All work study team members are expected to stay until the end of the conference and participate actively until given permission to leave on Sunday evening; this will be around 5:30. In exchange for joining the IHS Work Study Team, we offer a special rate which includes tuition, rooms in comfortable dorms and a dining plan at Chase Dining Hall, the delicious dining area full of nutritious food at Wheaton College. The cost for this package is $225 which includes meals and lodging. This is a savings of over $300 from the regular registration/meals/lodging package. Please see the registration form for more details on accommodations and meals. Each work study member must be available Thursday afternoon through Sunday afternoon and should be prepared to work 15-20 hours total throughout the conference. All work study members must be able to be on campus on Thursday afternoon by 3:30pm for an orientation meeting and to begin our tasks. Please note that if you cannot be on campus by 3:30pm on Thursday June 6th, you will not be able to join our work study team. Because we depend on our work study team, as a measure of our commitment the conference fee and all applicable fees must be paid when you register for work study. We are unable to hold your space until your payment is received. Registrations are taken in order of receipt until all spaces are filled. Please note our refund policy: All work study participants will be chosen from the Early Bird Registrants, therefore the policy of only 50% refund will be in place for work study team members. It is very difficult to replace work study at the last minute. Please email workstudyihs2019@gmail.com if you need to cancel your registration. Please see the refund policy in its entirety on the main registration page. 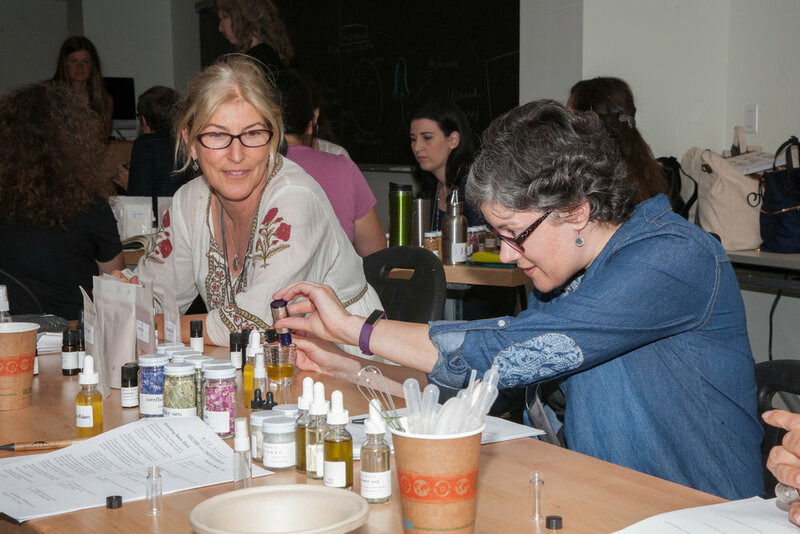 We look forward to connecting with all the beautiful people who are considering joining the International Herb Symposium 2019 Work Study Tea and are committed to making this an especially magical event.